New April Shows on Sale Tomorrow! Gillian has just announced five new tour dates this coming April in the Southeast, heading back to the Georgia Theater in Athens, the Charleston Music Hall and more! A special presale just for fans like you begins tomorrow, Tuesday the 23rd at 10am EST for all shows (except Greenville, SC). Just click here and use the presale code LOWLANDS for access! These tickets are limited, so don’t wait. If you miss out, all tickets for these new April shows will go on sale to the public this Friday, January 26th at 10am EST. 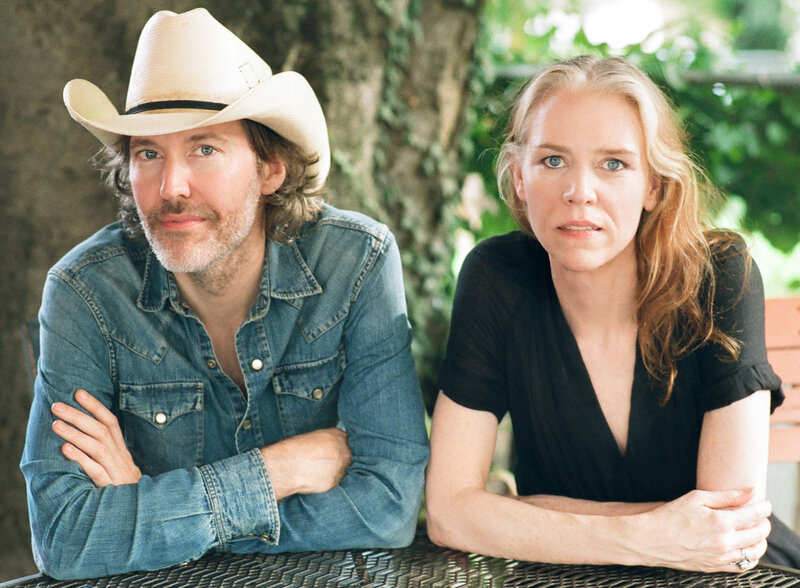 The Southeast leg of the Poor David’s Almanack tour with Dave, Gillian and the band continues with a show tomorrow night at the Ryman Auditorium in Nashville! Scroll down to see the rest of the tour as it continues through the week, and into February as we head to the West Coast. Just in time for Valentine’s day, we have some extra special custom enamel pin sets. We’ve been wanting to make these for a long time! 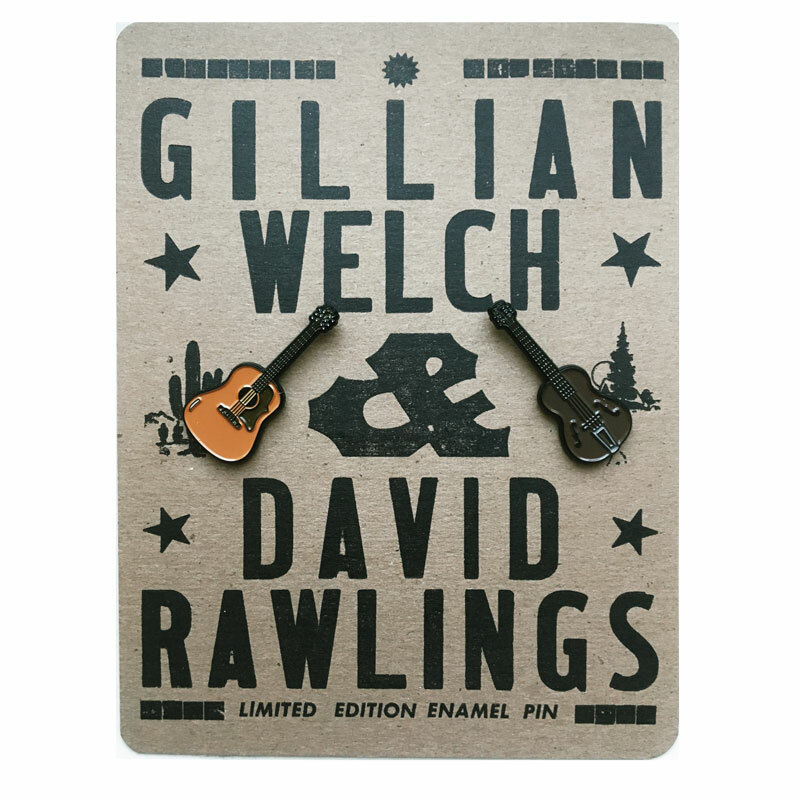 Designed by Sawtooth Print Shop and including a handmade letterpressed card, each set contains a pair of distinct objects often seen near or on our favorite folk heroes, Gillian Welch & David Rawlings. 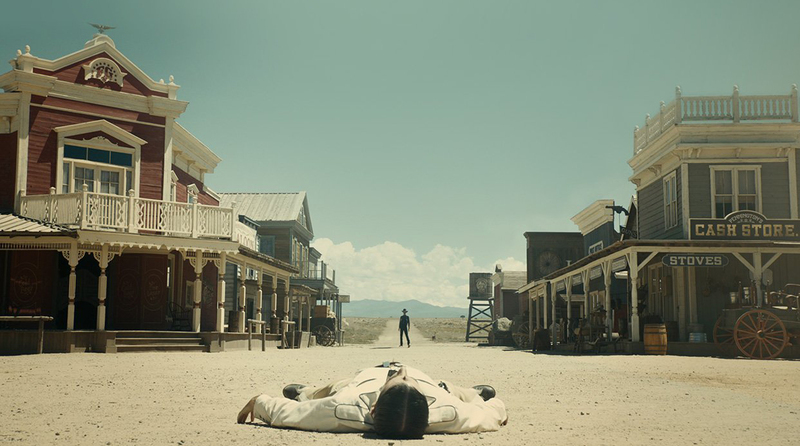 Naturally we have their trusty guitars (Gill’s Gibson J50 and Dave’s Epiphone Olympic), but we also have a set with Dave’s signature cowboy hat and Gill’s custom-made boots. For a limited time, we’re also offering free gift wrap on these pins! 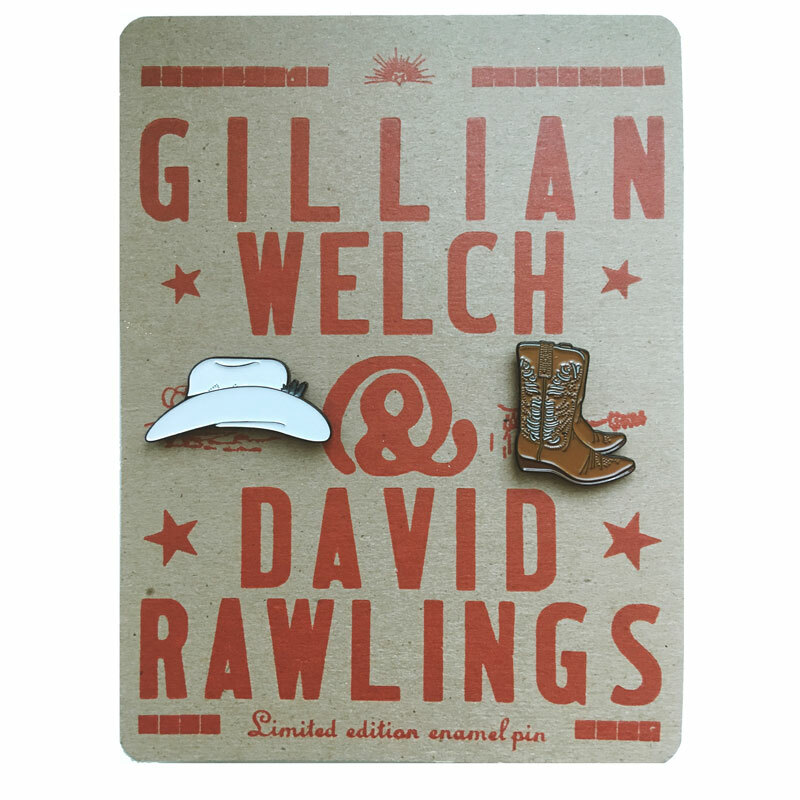 Just check the box on checkout and we’ll wrap these up so you can give them to your favorite Gill & Dave fan.